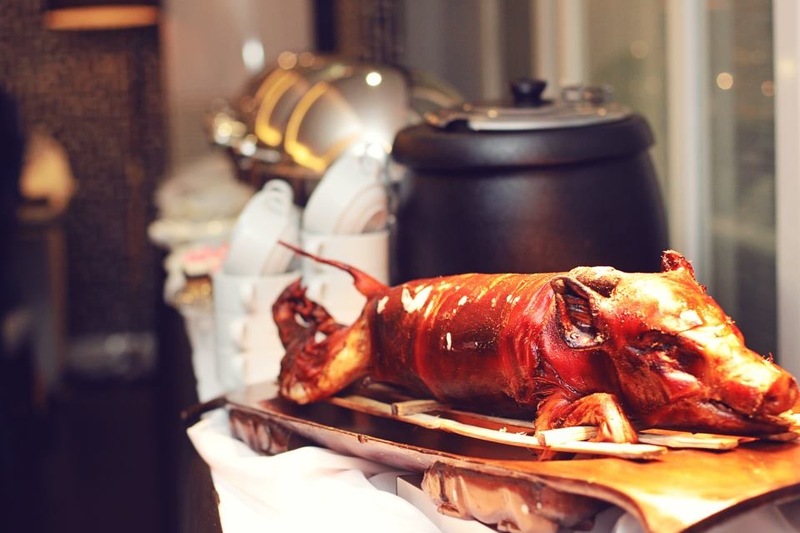 Find any Filipino get-together- whether here or abroad- and more than likely, you’ll find a roasted pig, skin gleaming reddish-brown and heavenly smell wafting through the air as it gets chopped, glorious, glorious skin turned to bite size pieces. The Lechon (as it is called in the local parlance) is always the star of any buffet table, transcending geography (you are likely to find a Lechon in La Loma as you will in any Filipino gathering in the USA), social status, waistline, gender or showbiz affiliation. The Lechon is the kind of food that overcomes dietary restrictions, turning pseudo-vegetarians with just one bite of the crispy, juicy skin and the tender meat attached to it. Paired with ice cold Coke and a plate of piping hot rice, it’s the quickest way to food heaven. In spite the so-called health concerns about the Lechon (too much of it guarantees a trip to the Heart Center), just what makes it tick and capture the heart of every true-blue, cholesterol-loving Pinoy? They say that our love of Lechon traces its roots to the times of the Soanish conquistadores here in the Philippines. 300 years of Spanish rule in the Philippines meant fill assimilation of not only the Roman Catholic religion brought by Spaniards but also of their culinary, social and cultural influences. In my mind, no one will ash no to a hot and juicy suckling roast pig magnificently displayed on the table. Filipinos love to eat and knows how to truly appreciate good food. We find camaraderie and build a sense of community by eating and by bonding by sharing food. Our appreciation of good food and our sense of plenty equates the word “feast” with the Lechon. Any grand feast is not the same without it. So what constitutes a good Lechon? On top of that is the crispy glistening red-brown skin. Break off a piece and you hear the unmistakable crack. In parties, this is what goes first as guests often jostle for the skin. The flesh should be flavorful and juicy, tender to the bite. While it is standard to eat Lechon with the sauce, a good Cebu Lechon can be eaten without as the flavors and spices are enough for a superb dining experience. 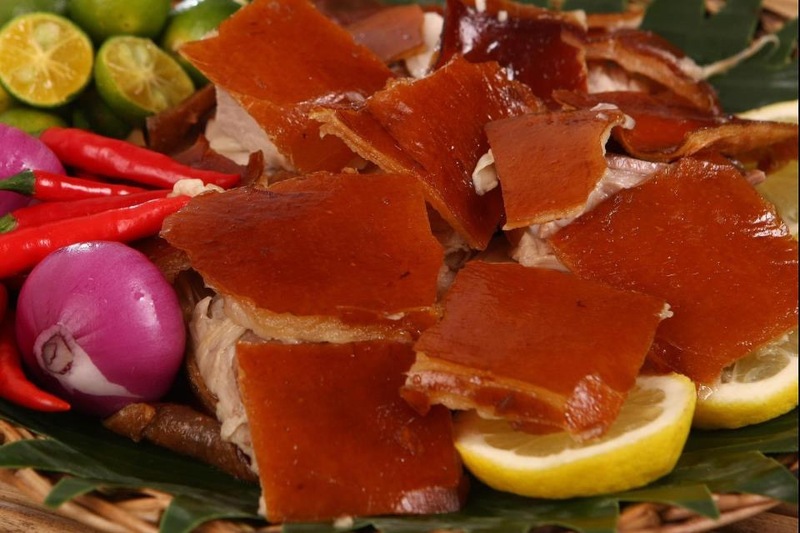 Cebu lechons are considered as the country’s best-tasting lechon. This is often attributed to their use of the perfect combination of herbs and spices during the roasting period. The combination of herbs and spices often vary, depending on the lechonero (the person cooking the lechon). For some, it is a closely-guarded secret and the reason for an authetic Cebu lechon experience. In Manila, finding an authentic Cebu lechon is very tricky. There are only a few merchants who provide the real delicious deal. Some even resort to ordering their lechon from Cebu and having it flown in Manila. For an authentic Cebu experience, you may contact Manong’s Lechon Cebu at (632) 4756875, 0932-8805600 (Sun Mobile) and 0927-7839920 (Globe). 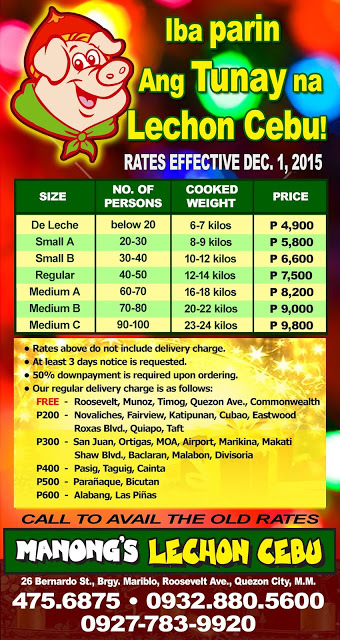 No need to worry about picking up your order, Manong’s Lechon delivers door-to-door within Metro Manila for a minimum fee. Look for Roland Panares and ask for the delivery charges. 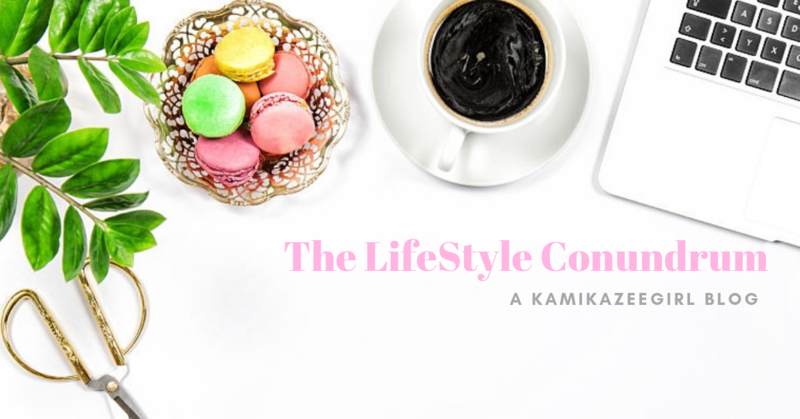 Disclosure: This post is my entry to Manong’s Lechon Cebu blog contest. 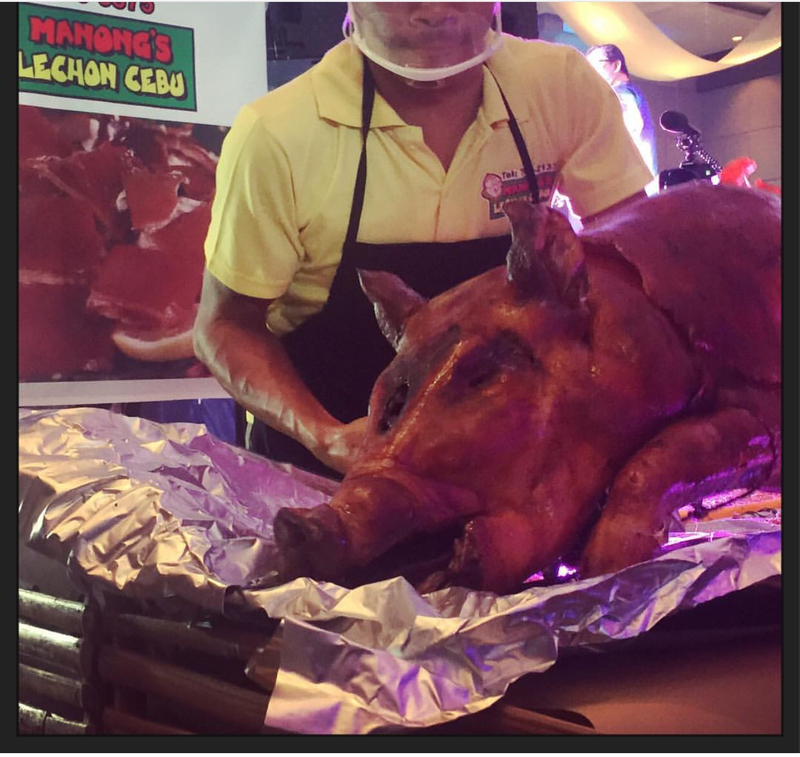 I was lucky to have a taste of their lechon during the recently-concluded Blogapalooza 2015 at the One Esplanade and attests that it is one of the best I’ve tasted. Since a few pieces of lechon is not enough for a fun dining experience — I am trying my luck if this post can win me one whole De Leche.